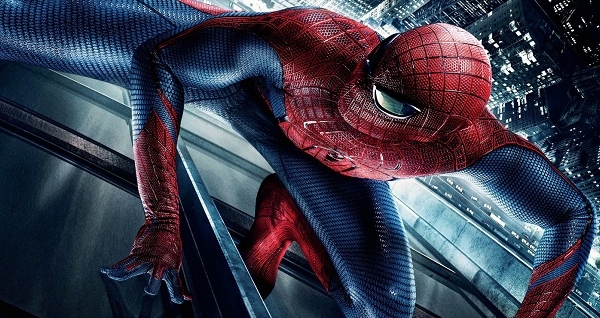 The Amazing Spiderman made me realize something: I never liked the original Spiderman. I mean, I liked it in the sense that it was the only Spiderman movie adaptation ever, but there were things that really bothered me. I never liked the cartoonish tone with an emphasis on comedy over drama. I liked Tobey McGuire as the nerdy Peter Parker, but his whiny voice made him a terrible Spiderman. I never liked the organic web shooters, because I felt the mechanic ones were important to his mythos. I never liked Kirsten Dunst as Mary Jane - thought she was a snaggle-toothed plain jane. But I loved the movie because, hey, it was Spiderman on the big screen. Now that we have a new Spiderman movie, it's like seeing Spiderman for the first time. Frankly, I think it makes the old Spiderman look like crap. Let's review. The plot is familiar. Teenager gets bitten by a spider and gets spider powers. His dear Uncle Ben is killed by a criminal he could have stopped, leading him to adopt the persona of Spiderman to fight crime. Along the way, he encounters a mad scientist who turns himself into an evil villain. It sounds a lot like the first Spiderman, and some have complained about how closely the story is to the original Spiderman. Frankly, that attitude makes no sense to me. It's Spiderman's origin. The original movie followed the origin from the original comic with some minor changes. The new version already makes some radical changes. To change the story even more would make it unrecognizable. Anyway, I think the two stories are like night and day. I thought Parker's journey was richer and more complex than the original movie. The subplot of the mystery of his parents was long overdue, considering how many TV shows and movies Spiderman has had without ever addressing the fact that he was raised by his aunt and uncle. Parker's evolution towards becoming a crimefighter felt more realistic with his motivation of finding his uncle's killer, not just randomly fighting crime. Overall, good stuff. I've read some reviews complaining about the dark tone of this movie. This, to me, is akin to the people complaining about how dark the Batman movies are compared to the sixties TV show. If you think it's too dark, then you don't know the source material. The comic book Spiderman has always wallowed in misery and sadness. I found the characters of this movie more three-dimensional. I think Andrew Garfield is a rare actor like Christian Bale or Christopher Reeve who can play both the hero and the alter ego equally well - he's a fantastic Spiderman, as well as a great Peter Parker. I like that he's more of a flawed human being than the saintly nerd Tobey McGuire played. Likewise, Uncle Ben isn't a Jesus-like character whose only purpose is to dispense advice and get killed. Aunt May isn't the stereotypical sweet old lady. It all felt more three-dimensional. It's not perfect. I didn't think the Lizard wasn't as compelling a villain as he could have been, and some cliches have still crept into the script. 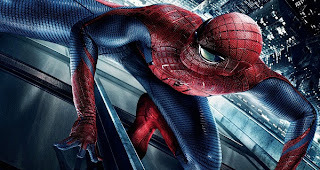 Yet overall, I thought it was a great movie that brought new life to the faltering Spiderman series. Here's hoping there are more to come. 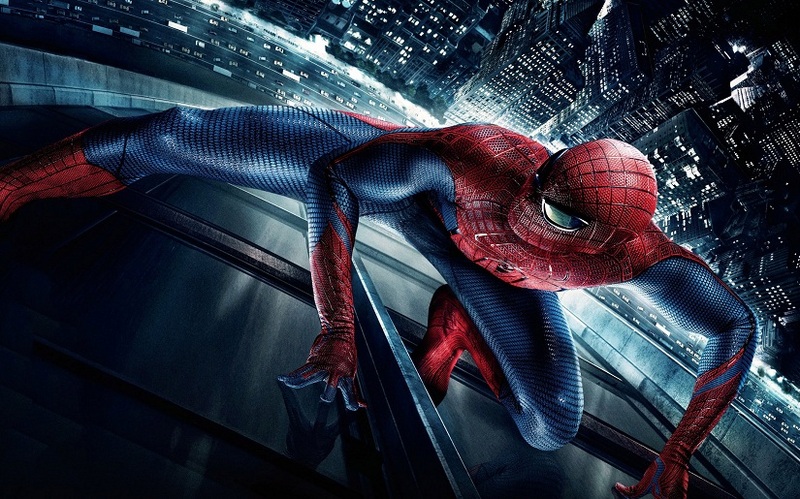 What did you think of Amazing Spiderman? I enjoyed this film, I enjoyed the review of yours better. I like my Peter Parker nerdy... not on the edge of being to cool. The overall film was visually eye-catching, but the story and villain make me made angry [not Hulk-Smash]... why is it that the bad people somewhat good people, turn bad and then in the end realize that they went bad... when it's sort of too late... science is great, but just don't drink it cause you are threatened... top scientist do it to help, not to profit. I liked this one much better, which surprised me. It was closer to the source material and Parker was snarky, just like in the comics. Looking forward to more in this series. I'll watch it at some point but I still think it's easier to improve on something than to create the product in the first place. I was never comfortable with the first two Raimi efforts for the very reason most fans embraced them: they were the direct manifestations of what a comic book movie was supposed to be. To my mind, that made them too shallow. I haven't seen Amazing Spider-Man yet, but it's nice to know that its ambitions seem to have been fulfilled. 99% of great storytelling is improving on someone else's story.